I can’t quite believe it, but after three years I’ve finished my MA in Interactive Media at UWE. I’m really pleased with my final piece, the locative art walk ‘here nor there’; it works really well and certainly makes you think and experience the city in a new way. 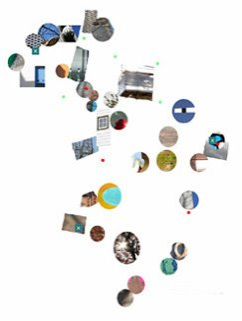 The image here (a bit small to do it justice) is a collaged map representing all the walks I made during the creation of the piece. It shows all the audio visual content zones, but with the underlying roads removed. So, time to relax and think about the future….